From Hamlet by Billy Shakespeare (well, the lesser known gardeners’ version). This is a complex issue and is at the heart of permaculture. I could try and explain the whys and wherefores, and the pros and cons of no-dig gardening, and perhaps not make a particularly good job of it, whilst boring you silly all the same. The basics are that we till the soil to relieve compaction, to incorporate compost, lime and manure and to create a tilth into which we can sow seeds. Additionally, farmers plough to kill and incorporate green manure and ley crops and kill weeds. On the down side, tilling damages soil structure, kills earthworms and useful micro-organisms, over-aerates the soil, thus interfering with the ethylene cycle (which is not an alcohol powered two-wheel vehicle!) and causes soil erosion. On a farm scale, ploughing uses huge amounts of energy—to move over 7000 tonnes per hectare—and whilst ploughing in weeds might kill them, it also exposes loads of dormant weed seeds, which then germinate. 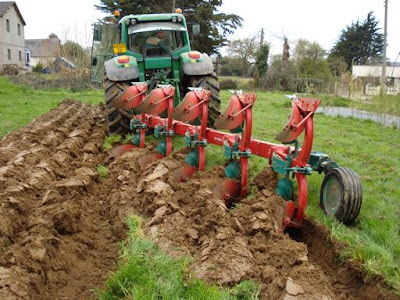 Most advocates of no-till growing do accept that it might be necessary to open up the earth at the beginning, which is how we came to ask our neighbour Paul to spend less than ten minutes with his tractor and plough turning over our proposed maincrop vegetable patch. Permaculture? Well it’s certainly pragmatic and will make the preparation of the soil and the raised beds with walkways in between (to avoid compacting the soil in future) much easier. It’s the first and last time this soil will see the plough and we believe that, on balance, it was the right thing to do. We’re waiting for the ground to dry out a bit before we continue the work, this time with spades. 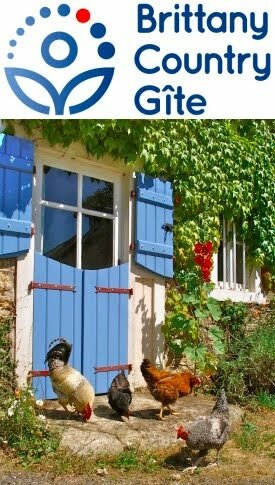 To learn more about no-dig growing, have a look at The Earth Care Manual: A Permaculture Handbook For Britain & Other Temperate Climates by Patrick Whitefield. pp 14, 50-58; the One Straw Revolution by Masanobu Fukuoka; this article on Emilia Hazelip’s Synergist Gardening, her adaptation of Fukuoka’s ideas. And, even if you don’t understand the French commentary, have a look at this delightful 29 minute video of Emilia’s French vegetable-growing project.